 A sleek and y music player and downloader. With streaming and built in scrobbling, completely free! 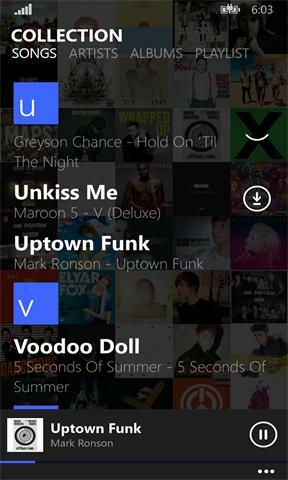 ⭐"Windows Phone’s Spotify Killer" - wmpoweruser.com ⭐Featured over forty times in the Windows Store. 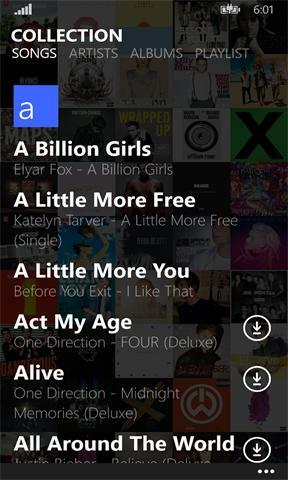 Features: • Millions of songs at your disposal for download or streaming, completely free. • Built in real-time Last.FM scrobbler. • Fast and fluid player. • Already have a collection? Audiotica can import it! • FLAC support for the audiophiles • Cloud sync for your collection with the Audiotica Cloud • 99% faster and saves over 70% on battery life, compared to Spotify and Xbox Music. Powered by: • Deezer • Last.FM • Spotify • Mp3Truck • SoundCloud and many more, guaranteeing you'll find the song you want. Making Audiotica not just the best player but the best er.